After just three years of average use, the chainstay of my Brommie broke. Has anyone else suffered similarly? Citoyen's broke recently at the chainstay bridge, I think. The rear triangle has no paint on the inside and it inevitably rusts out in time, although in your case it just looks like the metal got overheated by the brazing operative. Not hugely expensive as a spare part, and you can get the bushes changed while you're at it (tip: get the old ones out yourself and just pay to have the new ones fitted and reamed; this turns a £50 shop job into a £10 job if you're lucky). You *may* have some luck with a warranty claim if you're the original owner. I understand Brommies have a 5-year warranty on the frame, and yes I am the original owner. I have been sensing quality is not as high as it was in the past as I've suffered several other failures since I've had this one. I'm tempted to get it fixed and sell it 2nd hand - then buy something different. It's their way of selling the titanium models You should be OK with a warranty claim as long as you bought it new from a proper dealer; go to the dealer and they will ship the whole thing back to Brompton's factory. The bikes are often returned with other minor bits fixed or replaced. Bromptons aren't the best ride in folders but they do pack the smallest and are a better long-term ownership prospect because of the residual value and the ease of getting any spare parts. Taking lots of recent threads together there seem to be a lot of frame failures and these are not cheap bits of kit. What is going on? They're basic beasts, not a desperately robust design, and people keep them decades. 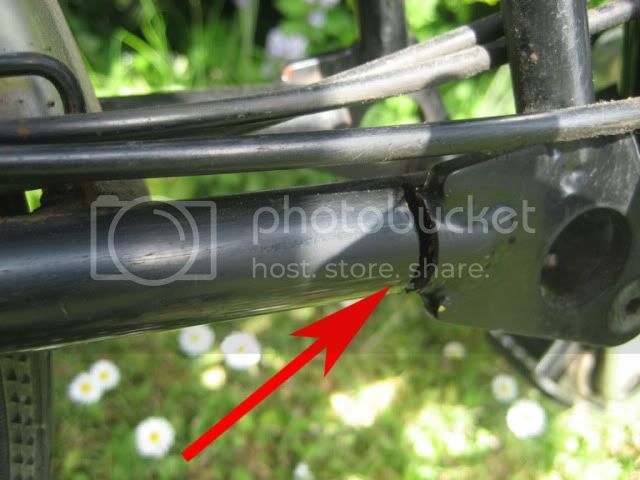 My B-i-L broke 2 Dahon folder frames in 2 years; my guess is that that's even more common. It went back to the factory and they replaced the rear triangle within a week. Now just need to collect it from the dealer. Service from Brompton was superb. Crumbs! This is a bit worryin as iv'e had my Brompton over 10years now! I did replace the hinge myself when one of the bolt heads sheared off! We have an 11 year old L3 in the family (not the first owners; it apparently had a very hard life on Surrey commuter trains beforehand) and the rear triangle is intact. The head tube is stretched though, so the lower cup is a bit loose unless Loctited.